A complete MUSIC solution has been installed at the five-star Pullman Reef Hotel Casino in Cairns, Australia. With 128 rooms, a roof-top swimming pool, gym, four restaurants/bars and a boutique casino, the resort is Cairns most prestigious hotel and delivers a luxurious getaway experience for guests visiting from around the world. 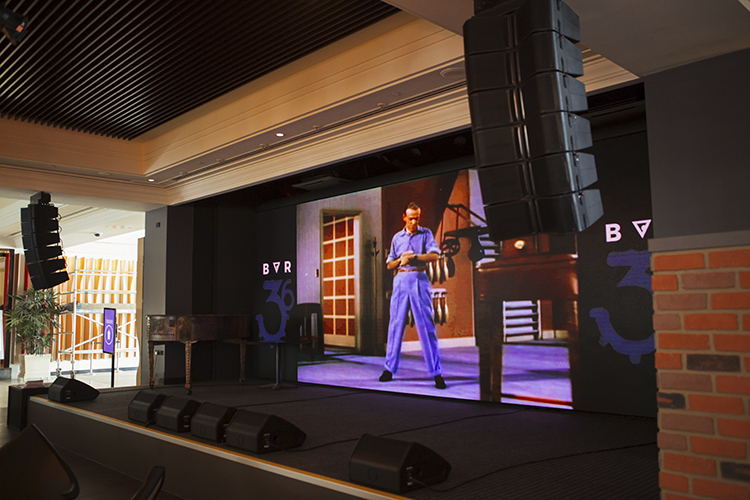 Australis were called upon to specify a high quality front of house audio system that could fulfill a touring rider specification but also be dynamic enough for acoustic and DJ sets. 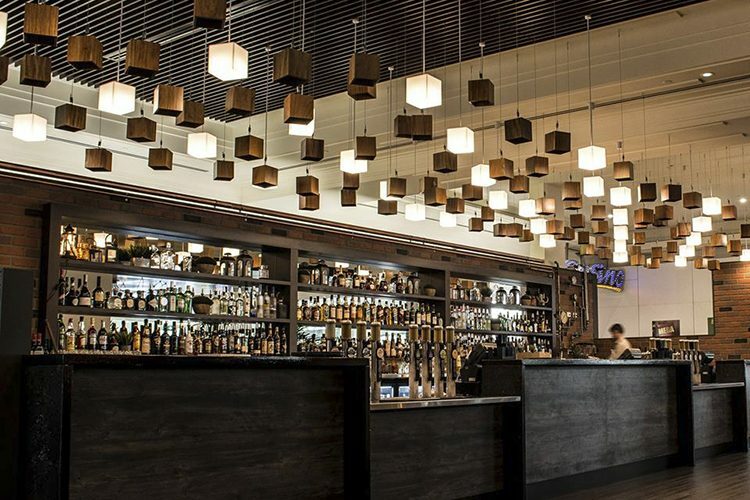 Additionally, by daytime, the venue is used as a relaxing lounge bar so the audio equipment specified was to be completely unobtrusive to its environment. “There’s a real synergy in MUSIC’s products that allow us to fit entire venues with products from its portfolio of world-renowned brands. As this bar is used around the clock we needed something dynamic and powerful, this is where TURBOSOUND comes in. The FLASHLINE MINI packs a punch from a very small footprint and delivers touring grade performance,” comment Nik Buchanan of Autralis. 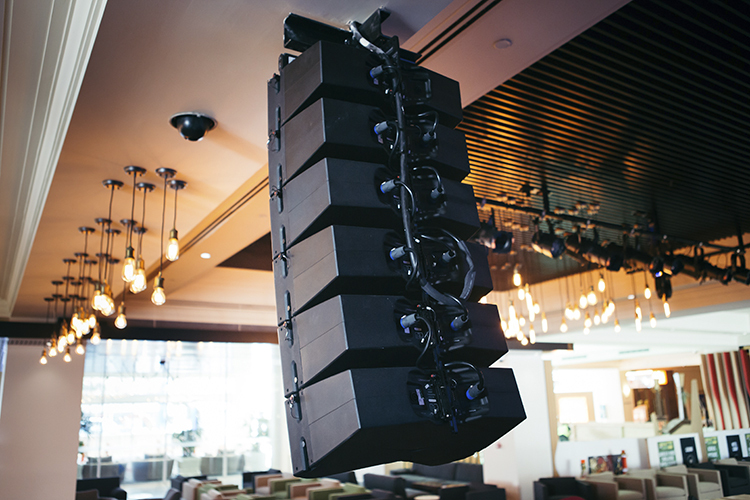 For the bar’s main stage Australis specified TURBOSOUND’s FLASHLINE MINI array consisting of two hangs of TURBOSOUND TFS550H, with FLEX ARRAY’s TFA600B, which boast 18” horn loaded subwoofers. Six TFM122 monitor wedges are located on the stage along with a NUQ115 and NUQ122. 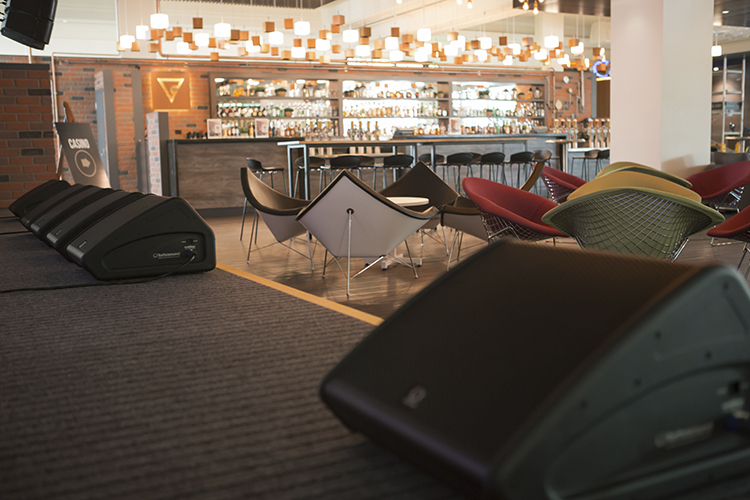 Powering the entire system are LAB GRUPPEN’s D 20:4L, D80:4L, D120:4L and C 28:4 amplifiers. Each of the amplifiers come equipped with Lake Processing DSP, loudspeaker presets for TURBOSOUND’s line arrays and advanced system integrity monitoring. At the core of the award-winning D Series is LAB GRUPPEN’s Rational Power Management (RPM) technology which allows the re-allocation of output power capacity among the four available channels, leaving any remaining power to be allocated to other channels. This results in extreme cost efficiencies and reduced rack space in applications. The entire audio system continued to be monitored from LAB GRUPPEN’s CAFÉ Software which in addition to providing comprehensive system surveillance and configuration of RPM and other amplifier features such as ISVPL and Breaker Emulation Limiter (BEL), includes valuable help to save the environment. In combination with the RPM configuration CAFÉ can accurately predict, based on the true SPL and speaker requirements of the individual loads for the given project, estimations of average mains current draw and generated heat in BTU.